Celebrating the festive season with family and friends on sunkissed powdery white beaches by day and a starlit sky by night, guests were invited to join the team at Anantara Kihavah Villas for traditional carols as the resort’s festive lights were switched on for a fifth year, including the renowned and much-awaited underwater coral Christmas tree. This year’s annual Christmas Tree Lighting Ceremony illuminated the unique coral tree that has become a seasonal showcase element to the natural beauty of Anantara Kihavah Villas. 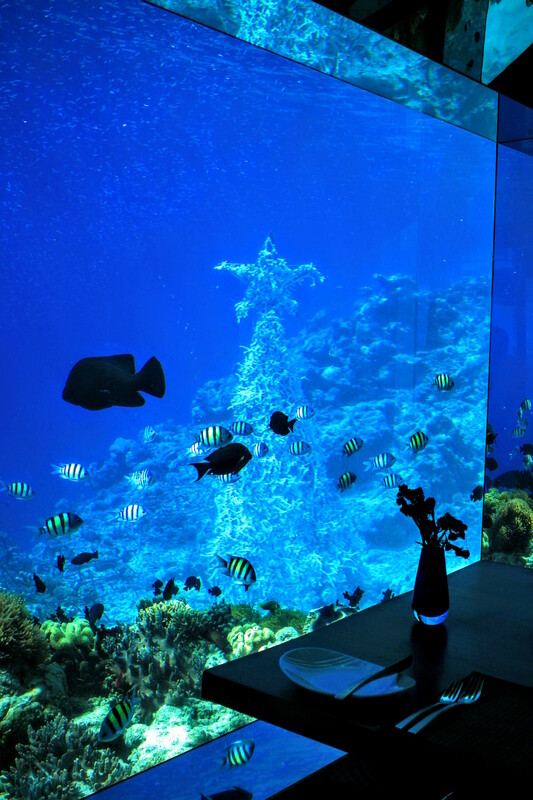 Taking prime place of joy just beyond the viewing windows in the award-winning underwater restaurant Sea, the coral tree rests 4 meters below the water level, stands 2,5 metres tall by 2 meters wide, and is decorated with broken pieces of coral harvested from the ocean bed surrounding the resort. The Indian Ocean’s abundance of marine life can be admired by descending into a connoisseur journey, indulging in an exquisite festive degustation menu paired by a vast array of new and old world wine selections from the world’s only underwater wine cellar. 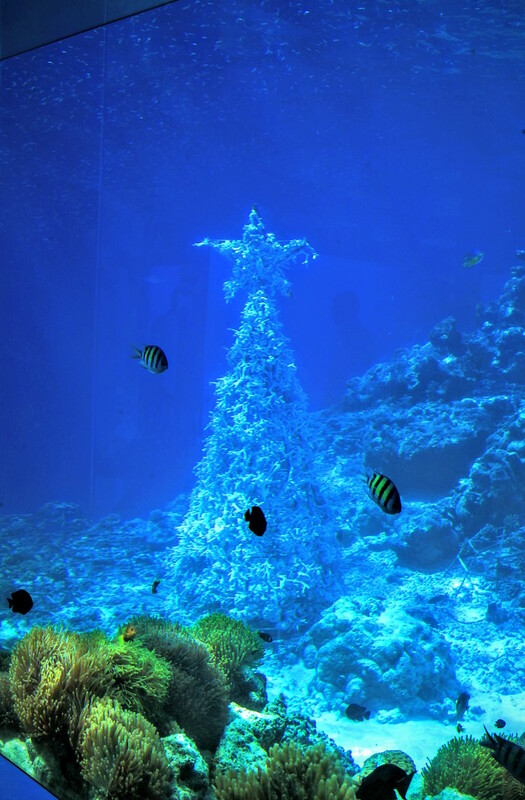 In addition to the neon fusiliers, parrotfish and surgeonfish all around, diners can feast their eyes day and night on the underwater coral tree displayed until 7 January 2016. Crowning the resort’s festive theme, A Magical Wonderland of Sights, Sounds and Tastes, the countdown to New Year’s Eve 2016 begins with a sumptuous gala gourmet buffet on the beach. Entertainment throughout the evening will see the old year out in style and ring the new one in with suave.